At Besttermpaper.com, our PhD writers have such extensive experience that they can produce a dissertation on virtually any topic by your deadline. 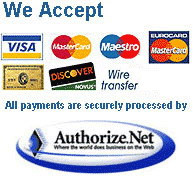 Our company offers a wide range of services to help you with your dissertation. Our services are flexible and can meet your needs. We assist with dissertations, theses, research proposals and also provide editing and formatting services. You can still rely on us if you need help or professional advice on a separate chapter, section or an abstract of your work. Once you submit your order, we assign a doctoral level writer with the most appropriate educational background to work on your order. Our instant messaging system allows you to report any additional requirements you have to the writer. We understand that your main concerns are quality of your dissertation and deadlines. We guarantee to provide you both. We assign your order only to high skilled specialists. Our highly-trained writing professionals will guide you through every stage of dissertation writing from the introduction chapter to the discussion section. Our professional writing staff is extraordinarily talented, and we have employees with expertise and subject-specific knowledge in virtually any field imaginable. Writing a thesis is the quintessential example of something extraordinarily hard for the majority of students, but something that many of them still need to accomplish. Try our service today and find out just how wonderful it is. Our writing professionals have years of accumulated experience in producing Research Proposals and they can put together a proposal for you that will be well-written, edited, and knowledgeable. An effective thesis proposal is a combination of great writing skills and extensive research in the field that gives you the knowledge necessary to highlight an area of specialization. 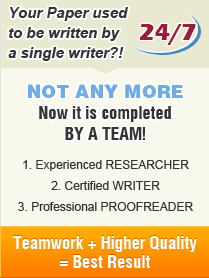 Why not let our writers edit your paper and correct those things that may need adjusting? We can help you with the final stages of your dissertation or thesis and take the stress off you. While you put your research skills into the work, let us take care of the technical requirements such as adherence to style guides and bibliographical formats. We will also enhance the effect of your well researched content by ensuring that your dissertation is organized with flawless language and faultless presentation skills. Why not let our highly trained writing staff do all of the formatting work for you? Instead of struggling through hard to understand help programs, let our staff make your work look as professional and as eye-pleasing as it deserves to look.